Now featuring the EVO3 Gas Powered go kart by BIZ Karts… The EVO3 has replaced the entire Pro Kart fleet and is designed and manufactured at BIZ Karts USA. This new model features fantastic advancements in both design and technology and is the spotlight model of the kart industry. The new fleet is lighter and offers improved handling over the previous model. The engines have been race tuned to offer high speed racing entertainment. Plus, the EVO3 also has a sporty new bodywork kit. Come drive one today! 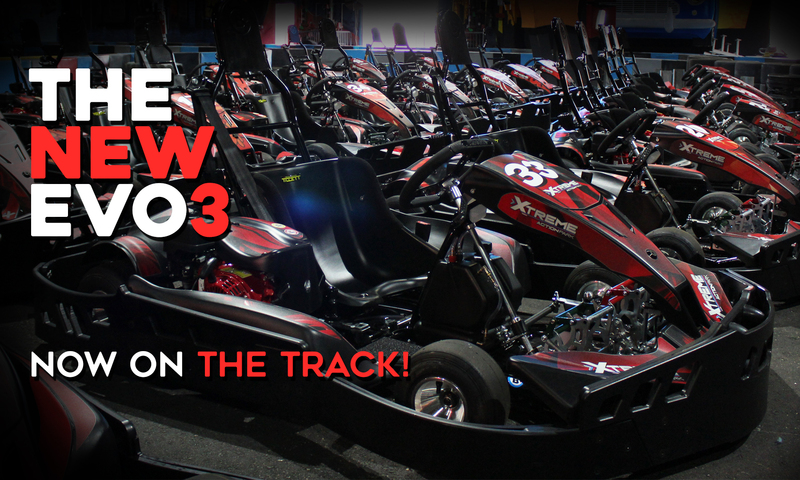 Xtreme Action Park hosts South Florida’s Longest and Fastest Indoor Go Kart Track! We offer a “real” racing experience with European gas powered karts on a 1/2 mile poured asphalt track for superb handling and grip where you can reach speeds of 45MPH! We provide complimentary use of helmets, neck braces and race suits to all members with an Xtreme Race License. Adult Drivers can purchase single race sessions in Pro Karts. Race Sessions are 8 minutes long. 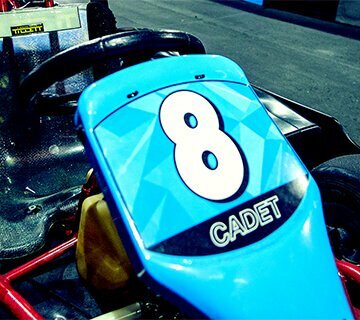 For those who need more speed, we offer a special fleet of Super 9HP karts that can reach up to 65MPH on our track! These karts are available only to experienced Xtreme Race License Members that have completed at least 3 races on our track. Drivers must be 16 years or older, a current Xtreme Member and show proficiency in our 6HP pro karts by recording a specific lap time. NEW FLEET COMING SOON! Super Karts are currently not available but stay tuned for updates on the new Super Fleet Arrival this Winter. Want some Competition?! 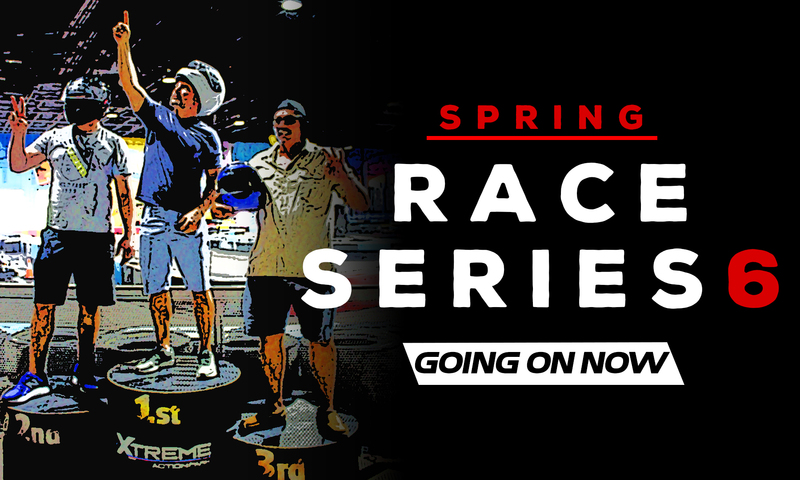 Sign up for any of our scheduled races open to experienced pro drivers plus win great prizes. Some events also offer a unique track experience allowing drivers to compete not only on our regular track, but in a backwards format plus an alternate race track that others cannot participate in. A Current Driver’s License, ID or Passport. A Head Sock unless you are bringing your own helmet. Friends, Family or Co-Workers you can challenge! Race price shown does not include mandatory Race License and head sock. We do offer loaner helmets. All prices are plus tax and subject to change. Parties and private groups have priority. Choose this option to race with others around the track and compete for the best lap time. Arrive and Drive Racing is available without an appointment and open to the public. This style of racing is considered open format, which means that you are scheduled to the track in “heats” (groups) of 14 drivers or less. We divide our race heats into categories: Cadet, Pro & Super. This is based primarily on age and skill. If you are looking to race against your friends across the finish line, then we recommend that you plan a Lap Race. Lap Races are available to anyone 16 and older with a current membership. This style of racing is open to our Pro and Super Kart racers and is the best option if you are bringing a group of 10 or more. 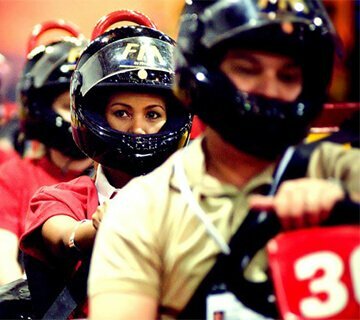 We will limit the race session to you and your guests where you can race against each other towards the finish line. After a safety briefing including kart instructions and flag descriptions, the race will include qualifying laps to determine pole positions. Then, with a green flag start, your group will commence racing for your selected amount of laps. Our Track Marshal will guide your racing experience by waving a series of flags until the end with the checkered flag over the winning driver – the first in your group to complete all the laps. Please note that due to the extra time required to schedule a lap race, we recommend that you call ahead or check our calendar for track availability. Want an experience you and your friends will never forget?! Contact our event coordinators to plan a Race Event which can include unique racing formats, private room or bar space, full safety briefing and detailed track instructions, plus custom trophies or medals. 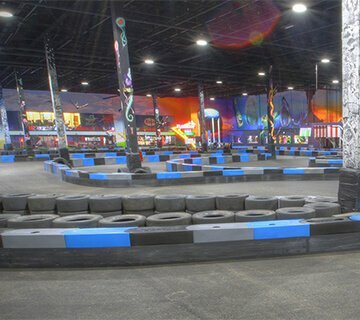 Enjoy more of Xtreme Action Park with options including arcade game cards, cocktails, track side beverages, and a full catered menu from snacks to buffet style dinner after your race. We can customize to your budget!